Cathay Pacific Airways has been facing battle after battle on all fronts. Financially, Hong Kong’s flagship airline has been losses since 2016. Customer-wise, the company faced one the worst cyberattacks, losing data of a minimum of 9.4million customers. Staff-wise, unions representing different groups of employees have been fighting to get “more” out of the organisation. To appease several unions, Cathay announced last week that most cabin crew and ground staff will get a 3% pay rise next year, plus a one-month bonus. Junior flight attendants on hourly contracts and have worked for the airline for more than seven years would get an 8% raise. This is a bump from the 1% they got for 2018 and Cathay said it was done “in appreciation of [staff’s] dedication and contribution”. Hong Kong-based employees would also be eligible for a 13th-month discretionary year-end bonus. 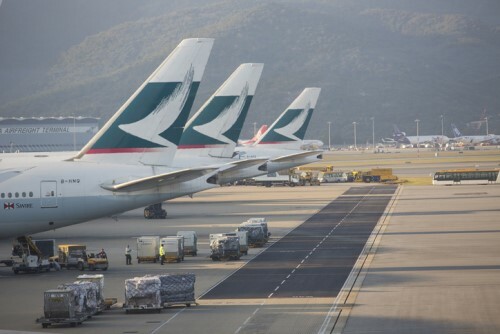 Despite all that, the Cathay Pacific Local Staff Union said it was disappointed with the salary adjustment, which falls short of the 5% they demanded. However, they understand the challenges the company is facing. “When the company returns to profitability, it should consider reviewing the salary adjustment rate,” the union said in a notice to its members. In contrast, Cathay’s Flight Attendant’s Union is satisfied with the deal as they got more than the initial 5.5% increase they had asked for. In addition, they also received non-monetary benefits. According to the South China Morning Post, other changes included an extra rest day for staff working long flights between Hong Kong and Tel Aviv. The 7,200-strong union had stated last month that staff took lower increments in the past year to help struggling company “get by” and was initially worried the cyberattack would be used as an “excuse” to deflect its demands. As for the pilots, Cathay Pacific may soon see the end of a four-year row with unions over pay and work conditions. Both sides are currently sealing a deal with a money-saving agreement that could be settled by the new year. For the past four years, Cathay and its pilots have been negotiating over pay, pilot allowances, housing stipends and work rosters. A set of terms offered in 2016 was narrowly rejected by the unions. A union source said the latest terms were “a little closer to a marginally acceptable outcome for pilots”. The situation seems optimistic for Cathay as a survey earlier this year found that almost half of its pilots were intending to leave the carrier amid strained relations with management.